Los Angeles, CA (August 31, 2017) Bilingual children from low-income homes are at greater risk of falling behind their peers in developing the appropriate language skills for their age group, leading to poorer academic achievement over time. A new article addresses how inequality impacts children’s language development and details policies that can intervene. This research is out today in Policy Insights from the Behavioral and Brain Sciences, a Federation of Associations in Behavioral & Brain Sciences (FABBS) journal published in partnership with SAGE Publishing. Examining research on how children’s home life impacts their language development, article author Natalie H. Brito at Columbia University Medical Center concluded that children from higher-income homes are typically exposed to more words, gestures, and complex grammar and phrases then their peers from low-income homes. Among these low-income children, bilingual children may receive even less exposure to each of their languages than children growing up in homes where only one language is spoken. “Early differences in English skills for dual-language children contribute to deficits in many aspects of academic achievement, and these small differences only widen as children grow older,” wrote Brito. Community resources: Programs dedicated to increasing children’s language development can reach a wider range of parents if they’re promoted at community centers. For example, Reach Out to Read, which encourages parents to read books aloud to their children, can be promoted at primary care centers by doctors as a routine part of medical checkups. 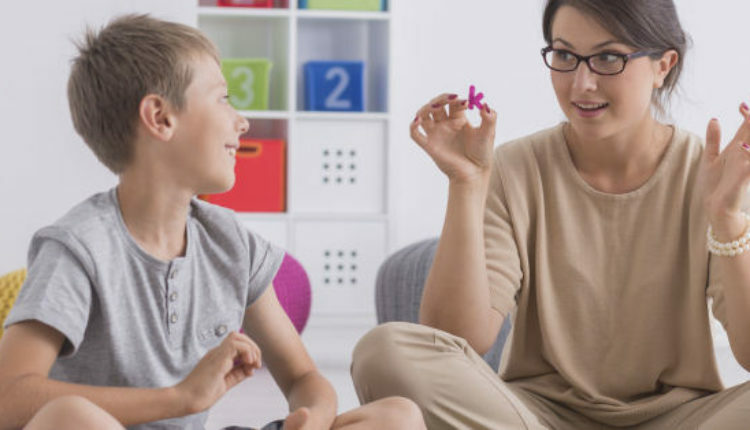 Training for parents and caregivers: Parents from low-income families could receive training on how to interact positively and reliably with their children to help them increase their vocabularies, imitate more conversations, and produce more vocalizations. Innovative technologies: New technologies, such as phone apps, can be used to educate parents on how they can help foster their children’s language skills. In addition, Brito also recommends that policies and programs accommodate children from a range of cultural and linguistic backgrounds, as children learning two languages do so in a variety of different contexts and with different caregivers. Policy Insights from the Behavioral and Brain Sciences is a publication of the Federation of Associations in Behavioral and Brain Sciences (FABBS) that presents original research and scientific reviews relevant to public policy. The articles allow scientists to share research that can help build sound policies, allow policymakers to provide feedback to the scientific community regarding research that could address societal challenges, and encourage the scientific community to build models that seriously consider implementation to address the needs of society. http://journals.sagepub.com/home/bbs.